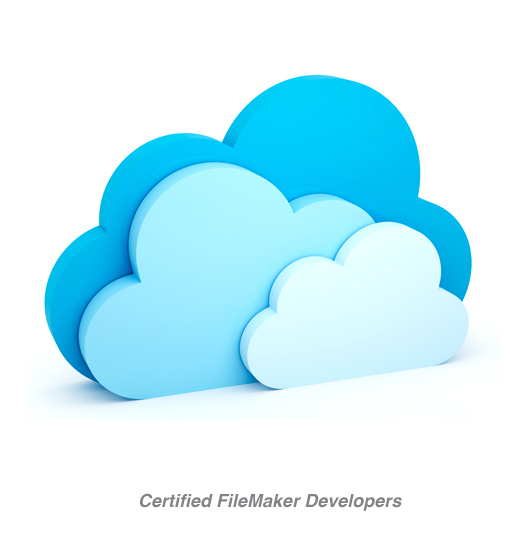 Certified FileMaker Developers since v7. Kevin Frank and Associates provides custom FileMaker database solutions for business, government, education and non-profit clients. With 25+ years experience, we are certified FileMaker developers with a solid reputation for high quality results. We invite you to contact us today for a no-charge, no-obligation consultation. Why would anyone pay for “custom” software? Don’t pay to ask. The first thing we do with prospective clients is have an in-depth conversation, or series of conversations, about your needs. If there’s a way to make an off-the-shelf package do what they want, we’ll tell you straight out, or we can negotiate further research. Initial contact is free. Few of our clients are local to our Arcata, California offices. Not that it matters. We support clients nationwide via PC Anywhere, Timbuktu Remote, Join.Me, GotoMeeting, Google Facetime and more. We can do projects that are 100% remotely handled, if that is your preference. So be neighborly, and contact us about your project today! – and we mean DEEP discovery. We succeed best when we work together with you to discover how your Filemaker project serves YOUR clients better. This goes beyond a simple features list. We seek to change the way you see and think about your data. 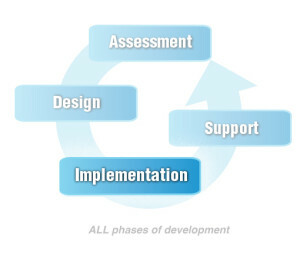 Our assessment is a collaborative, continuous, and transformative process of discovery designed to bring the maximum benefit to your organization. 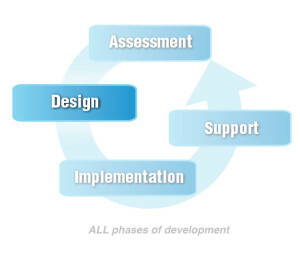 Our design process is dedicated to serving your needs as comprehensively and iteratively as you’ll allow. Our Filemaker solutions are tailored to the results of our discovery process and are based on relationships in more ways than one — they are the result of decades of experience clarifying and understanding our relationship with our clients, but also the relationships between and within aspects of your business, products, clients, users and so on. That this process is ‘iterative’ and ongoing means you can expect us to be continually attentive and responsive to your needs. We don’t just design relationships, we grow them. We are especially single-minded in our implementation and in our zeal to bring your project to completion. When we’ve discovered and designed your project’s goals, we get it done. This does not mean we’re in a rush to move on, or insensitive to further discovery, however. We continually operate with our clients’ needs in mind, seeking ways to refine and nurture optimal outcomes in any project, and discover new ways we can make your data serve you better. Your business is growing and changing, as are the markets, the technology, and the manner in which we expect information to be delivered. Kevin Frank and Associates is here for you whether you’re adapting legacy systems, or utilizing cutting-edge mobile deployment. We will fly to you if you need us on-site, or work with you via remote conferencing and screen-sharing to ensure you receive the greatest value and understanding of our solutions. We value our long-term relationships, and will be “there” for you and your business. Let us know about your project, and how we can help you. Thank you so much Kevin, I have been so swamped since I got back I have hardly had time to enjoy all of your hard work. But, today I did some training of new staff on the database and I am SO very thankful for all you have done. You are such a pleasure to work with! I’ve asked people to identify issues and so far, none have shown up but some will undoubtedly arise and I will contact you when they do. Thanks again for your great work… of course, if anyone I know needs a FileMaker consultant, your name will flow smoothly and quickly from my mouth. I can’t tell you how pleased we all are with your work. Kevin, You have made a lot of people very happy this week. Our bookkeeper [one of the main users of the new system] has been dancing and singing all day.